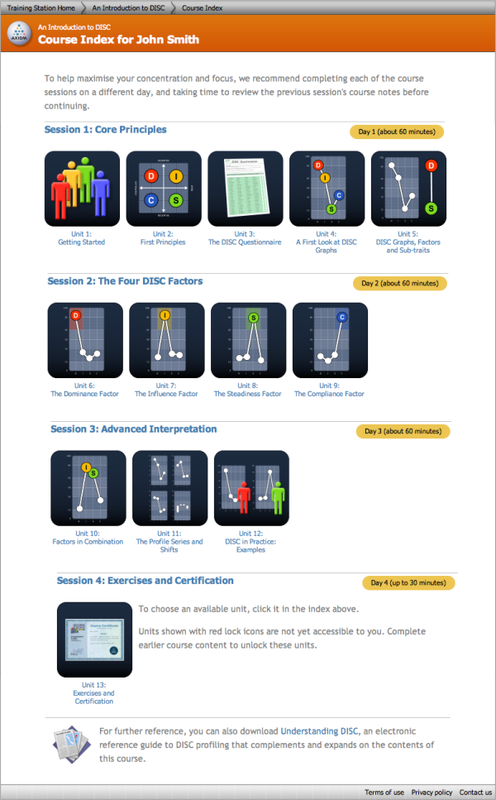 Before you can start the Introduction to DISC course, you'll first need to register. Just click the 'Buy Training Now' button opposite to set up a passcode for the course. 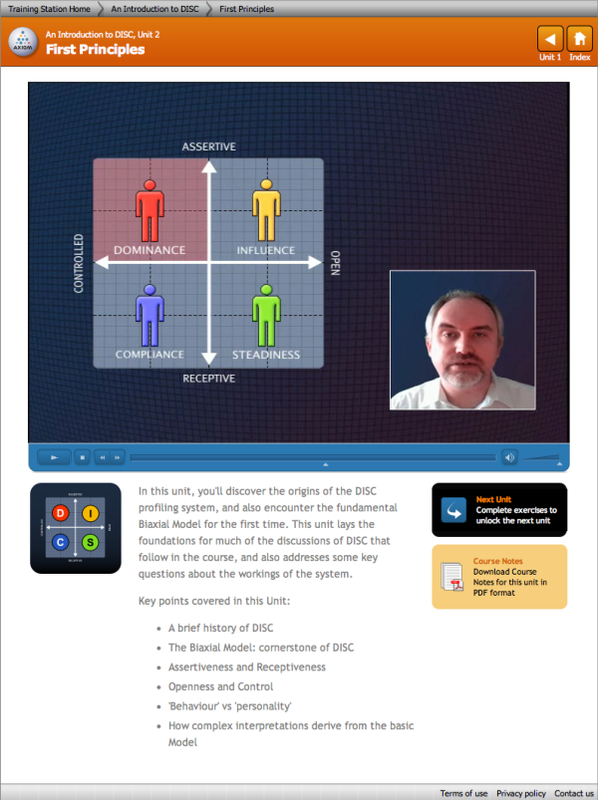 The DISC Certification Course consists of four sessions comprising more than three hours' worth of video training material and learning aids. If you have a passcode for this course, enter it below to log in. 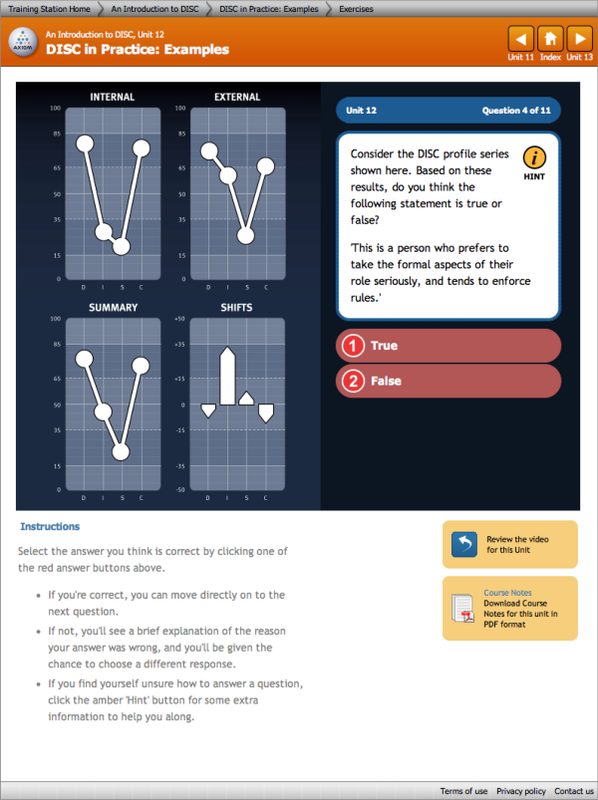 Each of these units has its own set of interactive exercises as well as a set of training notes for you to download and keep. At the end of the entire course there's an extensive final set of exercises; complete those, and you'll be provided with your own customised certificate. This Course Index gives you instant access to all the course material that you have successfully unlocked in your progress through the course units. Each unit of the course includes its own video segment like this one, explaining the key concepts behind DISC using lively animation. 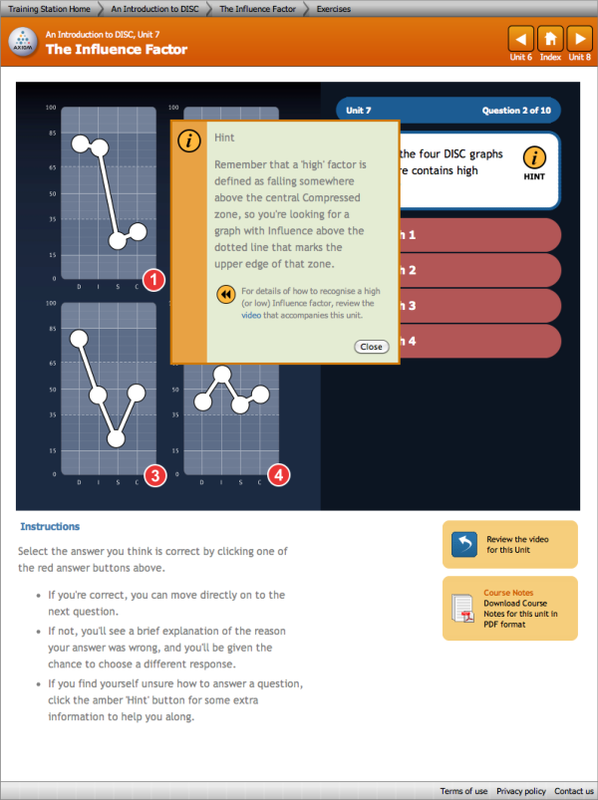 For each unit within the course, you'll have the opportunity to test your understanding of DISC with a section of interactive exercises like this one. Throughout the course exercises, you'll be able to take advantage of helpful hints to give more explanation about an idea, and to link you to useful material. 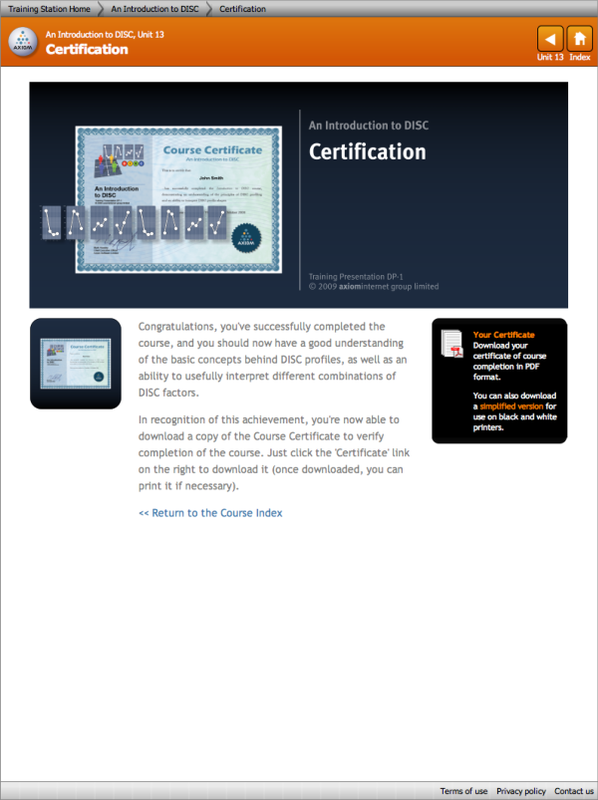 Once the entire course is complete, you'll be provided with your own customised certificate of completion.